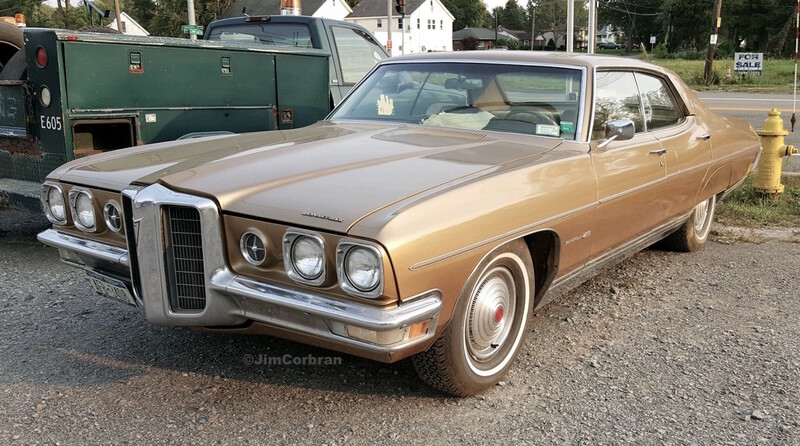 Tell me, when was the last time you saw a 1970 Pontiac Bonneville? Saw this one last week in Lancaster, proudly proclaiming on the front fender that under the hood was the Bonnie’s standard 455-cu. in. V-8. I’m a bit mechanically challenged, but I’m sure some of you will be impressed by the brochure’s bragging about the 455’s 3.25” journals. Wha? Anyway, the Big Bonnie still sat atop the Pontiac full-size heap in 1970; it was upstaged a year later by the Grand Ville.